You won’t want to share. If you’re like me, you could easily wipe out a sleeve or two of those delicious Girls’ Scout Thin Mint Cookies. Let’s face it, self-control when it comes to those cookies just isn’t happening. This is the perfect hack to those scrumptious cookies that won’t leave you feeling guilty. 2-3 drops of Spearmint Oil (More/Less depending on how “minty” you want it. Get out your blender (go ahead, squirt a little of that Hershey’s in your mouth, I do). 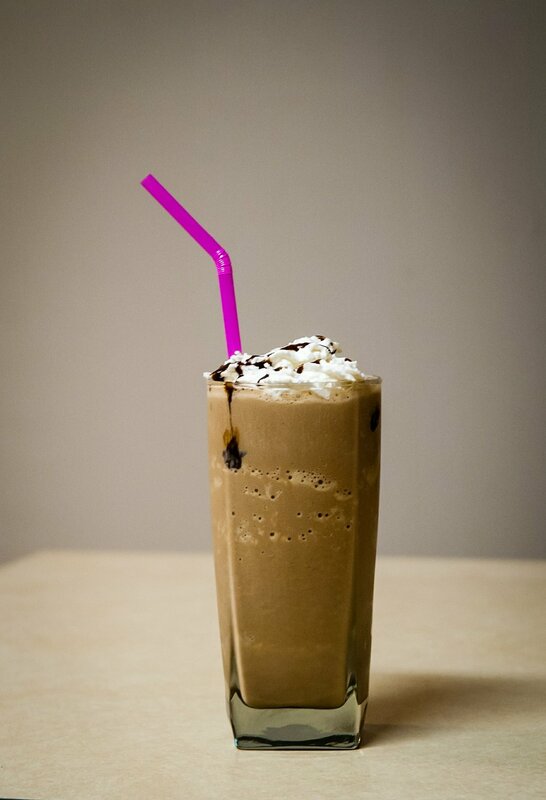 Add in the milk of your choice, ice, Hershey’s Cocoa Powder, drops of Spearmint (less at first, you can always add. Definitely don’t want to leave feeling like you ate a tube of toothpaste). Blend on high until smooth. Now, if you want your shake THICKER, you can add in some Cool-whip or Low-fat Ice cream OR you can put 1 TBSP of Chia Seeds in. The Chia seeds expand and naturally thicken shakes. When it’s fully blended, pour it into a shaker, cup, whatever and then add a dollop of your whipped topping of choice followed by a drizzle of the Hershey’s Syrup. Oh, I’m giving you permission to have seconds because it’s that good for you!